Hello trick lovers, today we are going to tell you a cool trick “how to capture someone who tries to unlock my phone”. So read the article thoroughly and know how can you click picture of someone who tires to unlock your phone. When you set a pin code or pattern lock in your android phone the reasons behind it, may be you have personal data in your phone, or you just don’t want someone to use your phone. But when you left your phone somewhere then someone may try to unlock it with different patterns, and you don’t know who tried to unlock your phone. But if we say you can capture that person by clicking his/her picture, whom tries to unlock your phone in your absence. Yes you hear it write, now it is possible to capture that person who tries to unlock your phone when you are not around. So let’s have a look on the trick “How To Capture Who Tries To Unlock My Phone”. In this trick we will use an android application named “Hidden eye” to capture the person who tries to unlock your phone in your absence. So let’s have a look on this cool trick, follow the steps given below to know “How To Capture Who Tries To Unlock My Phone”. 1. 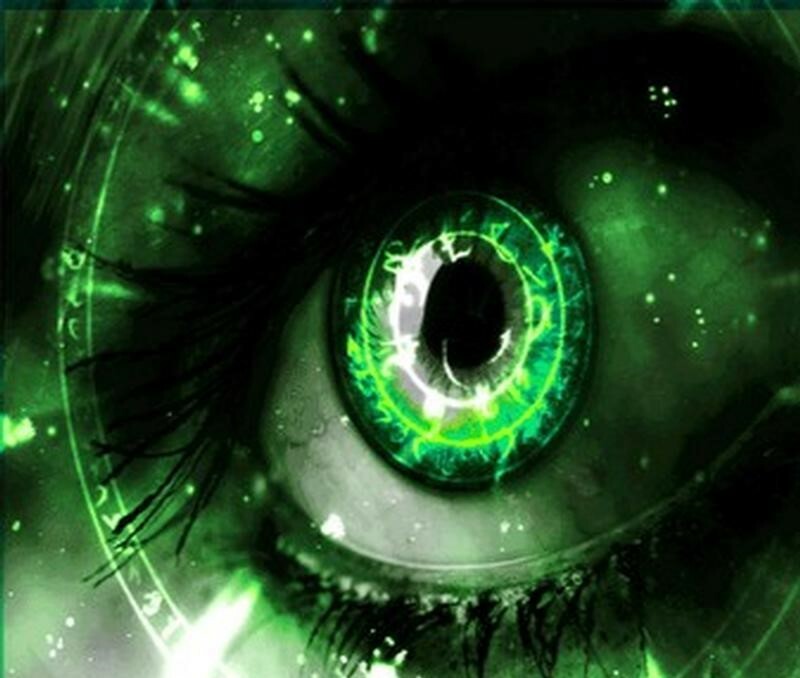 First of all download and install the application “Hidden eye” from play store. 2. Now when you open the application, you will see three option on the screen. (Check screenshot given below). 3. First if you want, you can read the instructions of the application. 4. 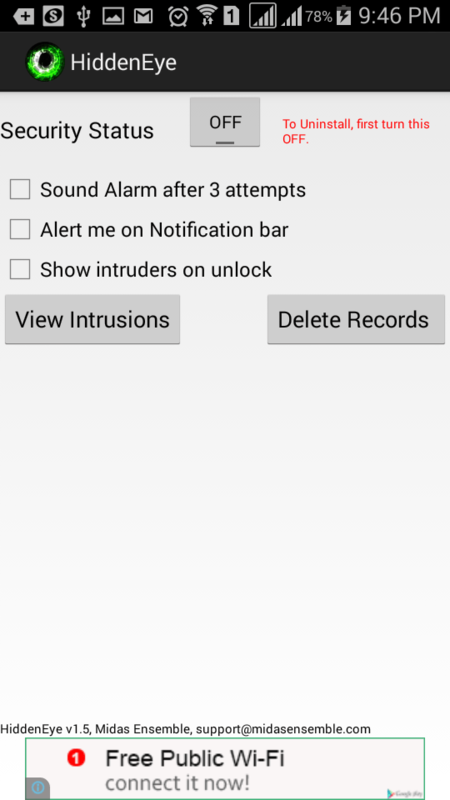 Now check the first box if you want to set an alarm on 3 wrong attempts, So whenever someone tries to access your phone in your absence then an alarm will start automatically. 5. You can check the second box as well, if you the application notify you in the status bar about the recent activity, when someone tried to unlock your phone. 6. 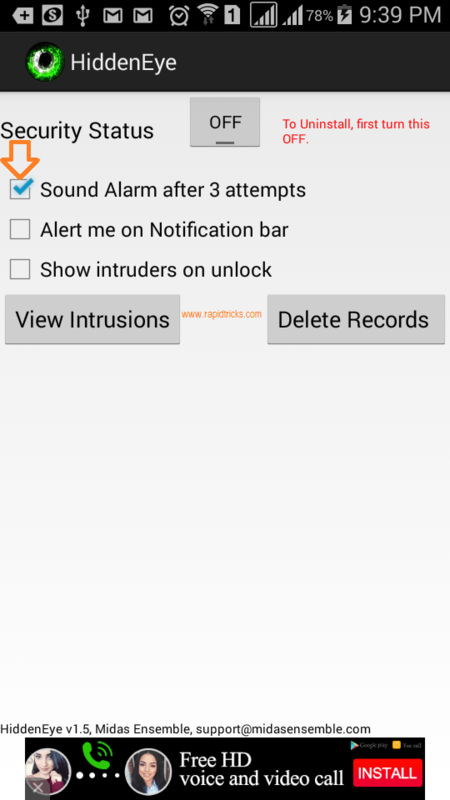 You can check the third box if you want to see the intruders on the screen when you unlock your phone. 7. So now you know about all the three options which you see on the screen. 8. 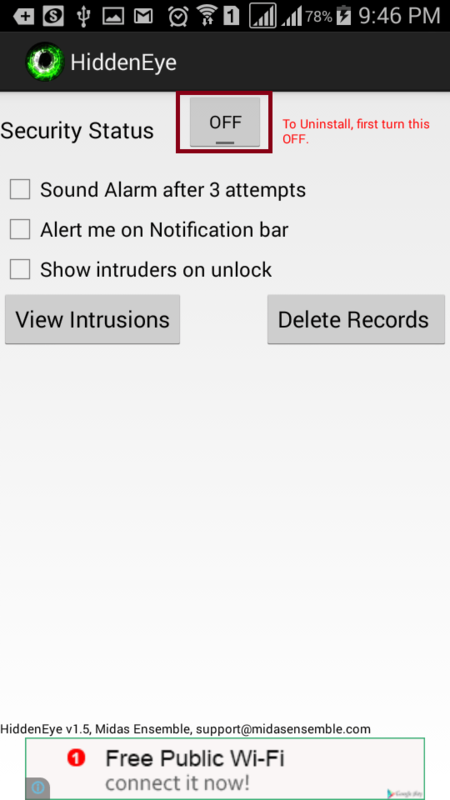 Now you can choose which option you want to use in the application, now to start capture the face of the intruders you will need to click on security tab (Turned it on). 9. When you will click on it, you will be asked to activate it from device administrator, just click on activate and it will be activated in the background. 10. That’s it, you have activated your android’s hidden eye successfully, now whenever someone try to access in your phone then your phone will click that person’s pictures. So above we have told you the cool trick “How To Capture Who Tries To Unlock My Phone”, by which you can catch the person who tried to intrude into your phone. So now it became so easy to protect your phone from others, you can warn them about it so they will never try to access your android phone in your absence. If you like the trick then don’t forget to share it with your friends and tell them about how they can easily capture the person who tried to access into their phone. Stay connected with us for more useful tips&tricks, and don’t forget to connect with us on social media and get all the regular updates in the news feeds. You can subscribe to our blog to get regular updates by mails, so you will never miss any trick from our blog. Check the footer and enter your email id in the box given below to subscribe our blog.